Kixeye honcho Will Harbin says Zynga is "burning to the ground" and has nothing his company would be interested in stealing. Zynga launched a lawsuit against the former general manager of CityVille earlier this week, alleging that he stole numerous high-value trade secrets before leaving the company to go work for rival casual game maker Kixeye. A judge approved Zynga's request for a temporary restraining order against Alan Patmore and "anyone acting in concert with him" yesterday, preventing him and Kixeye from making use of the data, and also approved a forensic examination of his computers and Dropbox account. 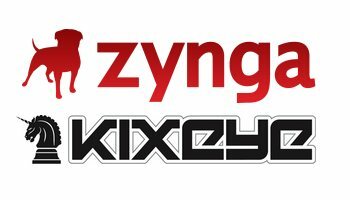 In response to the ruling, Kixeye CEO Will Harbin issued a statement making the not-entirely-invalid point that, given Zynga's current straits, it's not really the sort of company that competitors would want to steal from anyway. "Zynga is burning to the ground and bleeding top talent and instead of trying to fix the problems - better work environment and better products - they are resorting to the only profit center that has ever really worked for them: their legal department," he said. "It is simply another case of Zynga vindictively persecuting a former employee as an individual." "Given their financial situation it all feels pretty desperate," he continued. "Our games have little in common with the ones that Zynga is known for. We make synchronous, combat strategy games. They make asynchronous cow clicking games. We have two of the top seven highest grossing games on Facebook. Why on earth would we want to emulate a business that has seen a 75 percent decline in share price since their debut? According to their S1 their games average $.06 ARPDAU [average revenue per daily active user]. Our games generate up to 20 times that. You do the math." In my mind, Harbin then dropped his microphone, turned, and strode off the stage. It's pretty easy for competing game studios to talk smack about Zynga these days. The company's third quarter financial results were another disappointment, its stock is still in the tank and analysts warned earlier this month that it may never bounce back. Even so, while Harbin was dropping his bomb, Zynga Deputy General Counsel Jay Monahan expressed satisfaction with the ruling. "Patmore does not dispute that he took 763 files from Zynga, which contained confidential game designs from teams around the company, and that he transferred those files to his computer at Kixeye where he's currently the VP of Product," he said. "We are pleased with the judge's decision and will continue to work to protect the ideas and assets of our employees."